This production by our famous Rego Irish Records artists has proven to be one of the most popular Irish Music collections ever released. 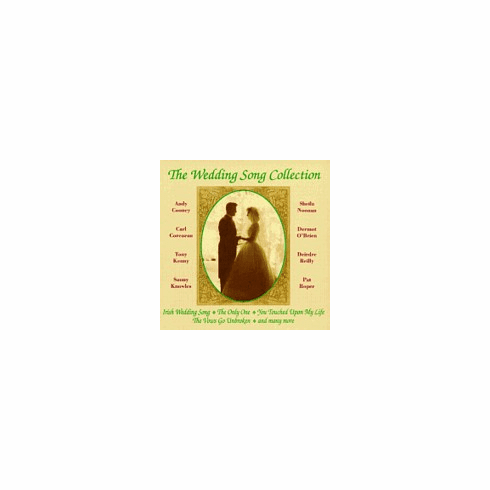 For that very special day, this collection features 14 of the most popular songs associated with a wedding. An ideal shower or wedding gift. Simply a must for any wedding, especially an Irish one. This is the original Rego recording, while often imitated it has never been matched! Featuring Andy Cooney, Paddy Noonan, Tony Kenny, Sonny Knowles, Deirdre Reilly, Pat Roper, Sheila Noonan, and Carl Corcoran. and all we who love them just wanted to say.